Sazia L Setaruddin Profile's - Best Medical Care, PC. 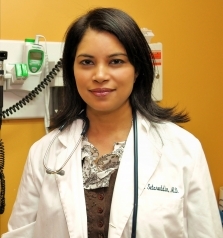 Dr. Sazia Setaruddin is a considerate and diligent internist and primary care doctor serving the community of South Richmond Hill, NY. She earned her medical degree from M.B.B.S University of Dhaka in Bangladesh. She then moved to the United States to complete her residency training in Internal Medicine at Queens Hospital Center, affiliate of the Mount Sinai School of Medicine. She is certified by the American Board of Internal Medicine. Dr. Sazia Setaruddin is committed to helping her patients enjoy a healthier lifestyle. She treats her patients personally and with as much care and attention as if they were a part of her family. During her consultations, she fully explains patients’ conditions and helps them choose an appropriate treatment plan.